Tsubo Multi-Color Leather Wedge Sandals - Size 10M. Pre-owned, excellent condition. 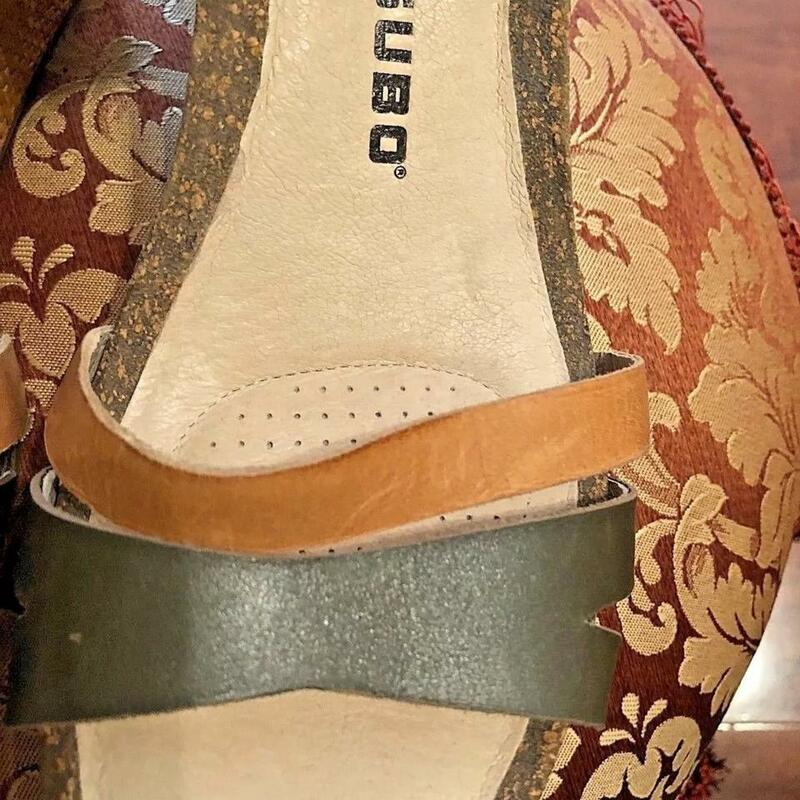 Appears not to have been worn. 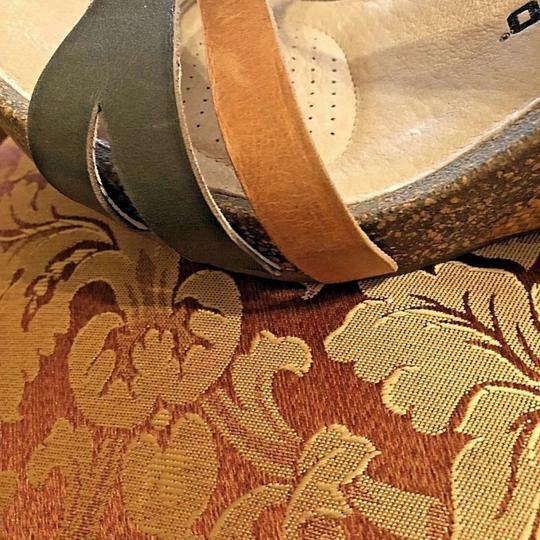 Some light smudges on the light color that aren't noticeable. 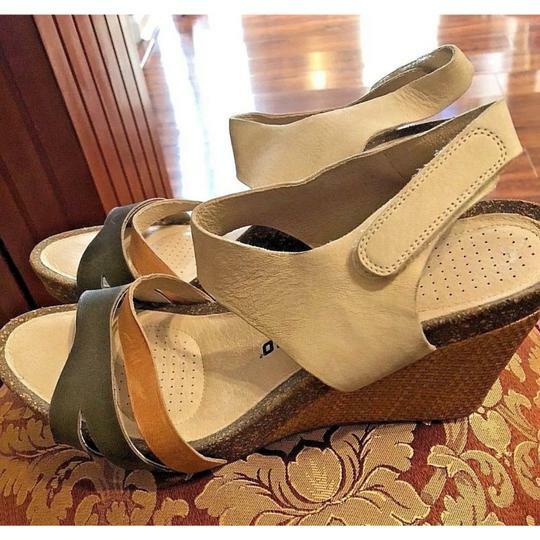 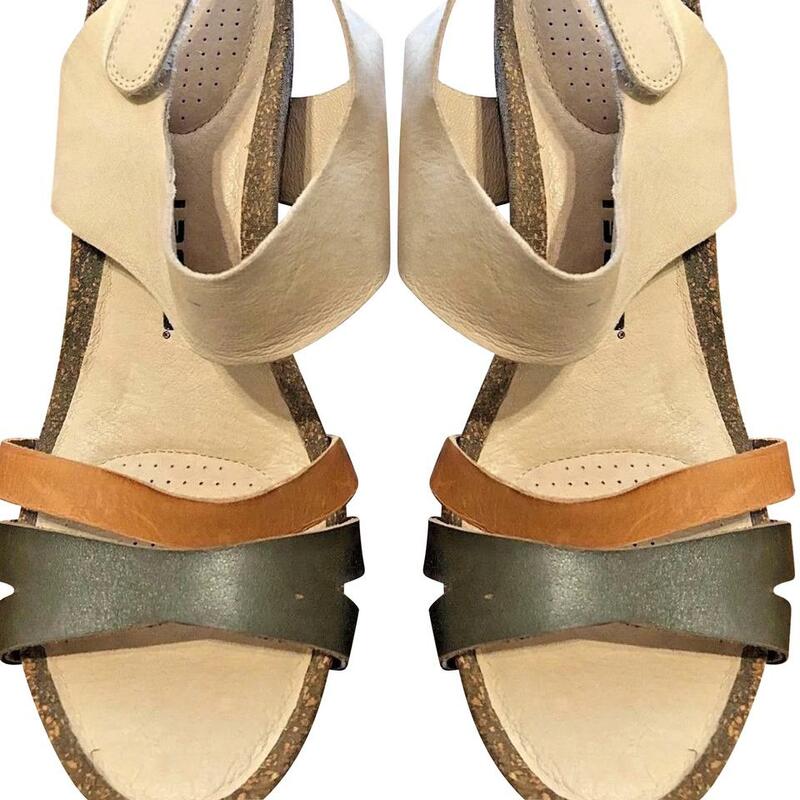 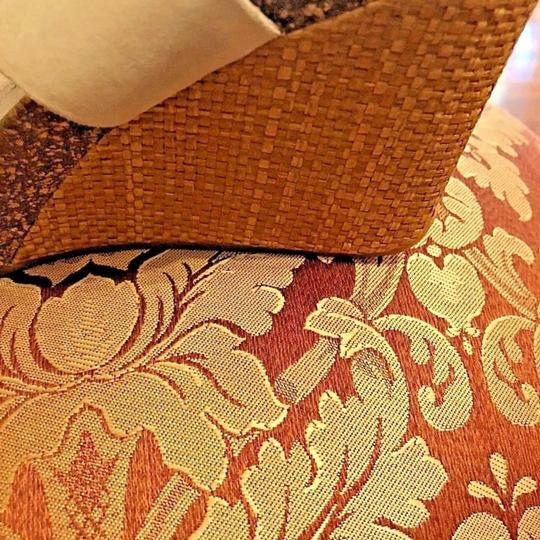 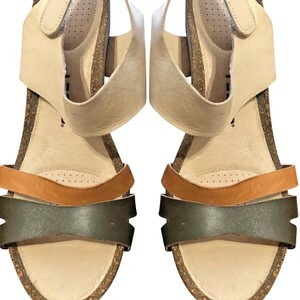 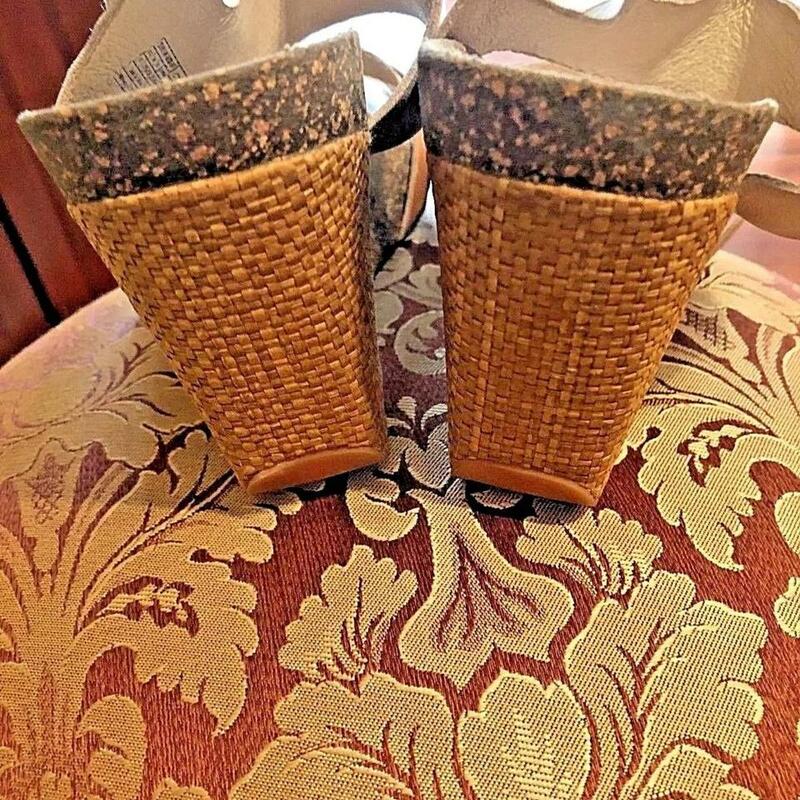 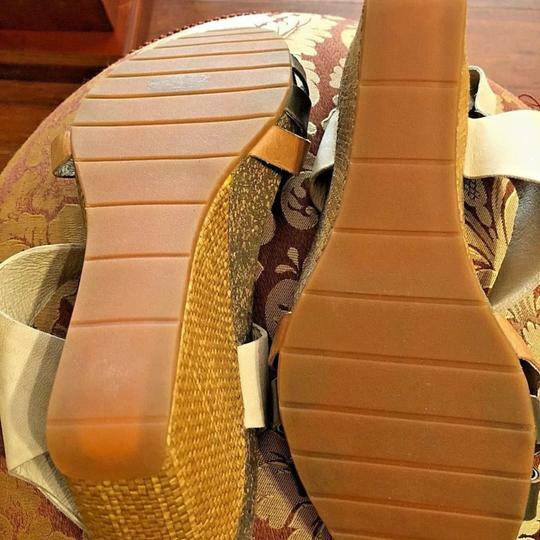 Woven 4" wedge heel with cork 3/4" platform, velcro closure.